Lýdia Machová, a polyglot who will share with you the secrets of learning a new language. Maybe you can work it out from context. Lýdia can speak seven languages fluently, and is currently working on her eighth! So… polyglot means someone who can speak many languages. So what were her “secrets”? Did you learn anything from this video? Speak with native speakers from day one and don’t worry about making mistakes. Speak with people online, using platforms like Skype. Imitate the sounds of a new language. Learn the 500 most common words. The most important thing, she says, is that all these people found ways to enjoy the process of learning a new language. It was deeply personal, and everyone had a different way, but all of them loved it. She learned Spanish by reading a translation of Harry Potter, and German by watching a dubbed version of Friends. How inventive! Use space repetition, instead of just memorizing vocabulary. Get a an app like Memrise to help you. Make time each day, perhaps by waking up 15 minutes earlier or listening to podcasts while driving to work. Be patient. Progress takes time. I hope this will help you find your own successful path to learning English. That’s why I made this website. 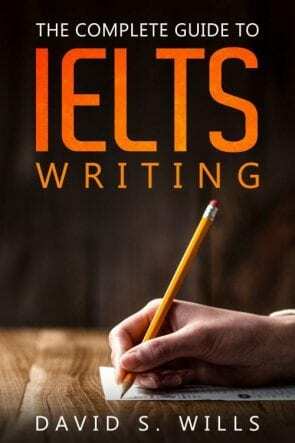 IELTS can be boring, but it doesn’t have to be. Find something fun, and study that. I’ve known people who love hip-hop and learned amazing English skills just from listening to music and watching hip-hop videos! It’s all about finding a personal method that works for you.